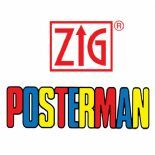 easichalk has the largest range of Zig Posterman Pens in the UK. 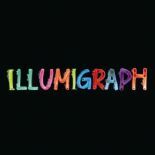 Famous for their Zig Posterman Waterproof chalk pens, they also produce wet wipe chalk markers and have a fluorescent wet wipe range called Illumigraph. 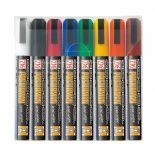 Posterman liquid chalk pens come in a wide range of colours and up to 7 sizes. 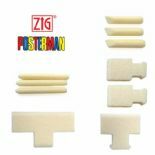 Used by professional Chalkboard artists and hobbyists around the country they are made in Japan and are of very high quality.